MMORPG.com has an interview up with H1Z1 Lead Designer Terrence Lee, and while it doesn’t address the biggest question we here at MMOBomb would like answered, it does provide at least some rationale as to why the single game was split into two. 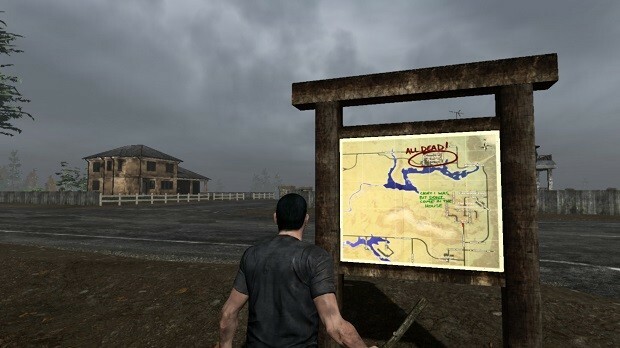 Those dev teams, by the way, aren’t just a reshuffling; while there was a split, new staff will be added on “to make sure the needs for both games are met.” One of the primary tasks listed for the Just Survive team is to add more zombie AI, including a “screamer” zombie — which was talked about as coming to the game last July and was “re-announced” in January. What the interview doesn’t address, though, is why Daybreak has abandoned the notion of making the game free-to-play after it leaves early access. Hardly anyone’s questioning the decision to branch off development into making two games, but why those two games will each cost $20 after being promised as free-to-play? That’s something even a police investigation would have a hard time pinning down. Ok frankly i dont see the reason for all the hate..
Basically they are just splitting up the teams making it so both games can get the atention it needs thats both survival and BR, i frankly think this is better and surely opens more room for development.. Accepting to play and pay for early access i think you have to understand that there is always things changing and this might be the best move.. I still think rust for instance did the right move changing engines and Im 100% sure repopulation did aswell..
Also announcing that a game will not go Free to play at release is something any EA title should be allowed to do, its part of development, if they where hoping to release it as a free to play title thats all good and fine but if they cannot make the cut its better to do this then just kill the game all together..
You did the right thing daybreak. Just refund me my money in full Steam currency and maybe I wont hate you anymore “DayBreak”. Worse $20 ever spent. i don’t want to hear about liar H1Z1 and Overwatch anymore!!!!!!! From there it’s been a downhill slide. the fact is that no one in the community or in the studio could think of any good way to monetize the game without introducing P2W. Going B2P is the final realization of that reality. It took them too long to come around to it. A game like this really needs a subscription model to keep it afloat. Subscriptions cut down on cheaters and griefers massively because it ties players to a paid account. It also keeps the servers up and running with on-going income. When blizzar make overwatch B2P, you stoped talking about it because it wasnt F2P anymore. Why you still talking about H1Z1? ?